Late applicants please contact sais.eu.admissions@jhu.edu before applying. Applications are still being considered for the fall 2019 term. Please contact Martina Leinz, mleinz@jhu.edu for more information. The school offers an Early Notification process for enrollment in the fall semester. This provides applicants the opportunity to receive an admissions decision by December 21 for enrollment in the following fall semester. Through the Early Notification process, the Admissions Committee will either make an offer of admission or defer the application for consideration during the regular application process. If deferred, the applicant will be notified of an admission decision in mid-March. Early Notification is not binding. Please note: For your application to be considered for Early Notification, please ensure that all supporting documents (as listed in the application instructions) are received by the Office of Admissions no later than November 1. If any supporting documents are received after November 1, the application will be reviewed during the Regular Deadline process. 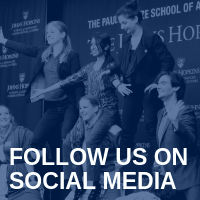 To learn firsthand what it would be like to be a part of the Johns Hopkins SAIS community, schedule a campus visit by creating a MySAIS account. 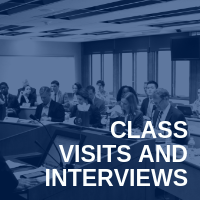 Campus visits are a great way to meet current students, attend a class, and experience the Johns Hopkins SAIS advantage for yourself. As a premier graduate school for the study of international relations we know the importance of cultivating an inclusive community diverse in thought, geographic representation, and experience. 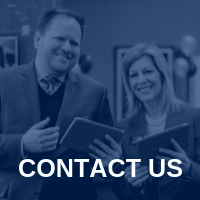 Our world-class faculty, committed alumni network, and focus on professional development provide unrivaled scholarship, experiential learning, and networking opportunities. Each year, we welcome students from approximately 58 countries across our three global campus locations. Our holistic application review evaluates US and non-US applicants for admission and merit-based scholarships on an equal basis. All applicants are required to follow the same application instructions and materials; however, non-US applicants have additional application requirements and instructions, which are described below. TOEFL or IELTS scores (non-native English speakers): Applicants whose native language is not English are required to submit an English competency exam, either the TOEFL (www.toefl.org) or the IELTS (www.ielts.org). A score of at least 100 on the TOEFL Internet-based exam or 7 on the IELTS is required for admission. Official scores must come directly from the testing service; please arrange for all standardized test scores to be sent to Johns Hopkins SAIS in advance of the application deadline. The Johns Hopkins SAIS TOEFL code is 5610-0000. If English is not your native language, (or in the case of bilingual students, your dominant language is not English) and you hold an undergraduate degree granted by an accredited institution where 1) English is the language of instruction and 2) the accredited institution is located in a country where English is an official language, you will not be required to submit an English competency exam. If English is not your native language and you hold a graduate degree granted by an accredited institution in a country where 1) English is the language of instruction and 2) the accredited institution is located in a country where English is an official language, you will need the approval of the Office of Admissions to be exempt from submitting an English competency exam. Please contact the Office of Admissions for more information at sais.dc.admissions@jhu.edu. Some admitted candidates may be required to take the Johns Hopkins SAIS Summer and/or Pre-Term English course to ensure they have adequate competence in English prior to beginning their first semester. If your transcript is in a language other than English, you are asked to provide an official translation of the entire transcript and an explanation of the grading system of the university. You are strongly encouraged to use a credential evaluation service, particularly if you are not sure of how to obtain original transcripts or face difficulties obtaining them. See World Education Services and the National Association of Credential Evaluation Services for a list of providers. Transcripts and translations must be received by the Johns Hopkins SAIS Office of Admissions before the relevant deadline, so please make any requests well in advance. Admitted students will have access to the Johns Hopkins University Office of International Services for guidance on obtaining a student visa, family visas, and other immigration advising. The Office of Student Life at Johns Hopkins SAIS welcomes all students to the campus community and provides a variety of helpful resources to assist in the transition to graduate school. Please click here to learn more. Johns Hopkins SAIS does not have on-campus housing. For resources on off-campus housing, please click here. Students going to the Hopkins-Nanjing Center are not required to take the English Entry exam, or attend English Language pre-term in DC. Students who intend to continue their studies in DC after a year of study in Nanjing may be required to take the English Entry Exam based on DC language policy. Applicants planning to apply to the 2 year Master of Arts in International Studies (MAIS) program, or the Hopkins-Nanjing Center Certificate+Johns Hopkins SAIS MA must submit either GRE or GMAT scores. Applicants for the one-year Certificate program in Nanjing are not required to take the GRE. If your transcript is in a language other than English, you are asked to provide an official translation of the entire transcript and an explanation of the grading system of the university. You are strongly encouraged to use a credential evaluation service, particularly if you are not sure of how to obtain original transcripts or face difficulties obtaining them. See the National Association of Credential Evaluation Services for a list of providers. Transcripts and translations must be received by the Johns Hopkins SAIS Office of Admissions before the relevant deadline, so please make any requests well in advance. Include information on how to submit GRE scores. All applicants to the Hopkins-Nanjing Center are required to take the STAMP Chinese Proficiency Test. Applicants have typically completed 3-4 years of college level Chinese and spent time in China. Students can access the test request form by clicking here. The Hopkins-Nanjing Center offers substantial financial aid including fellowships based on a combination of merit and need. 100% of students who apply for financial aid by the application deadline will receive a scholarship. The Hopkins-Nanjing Center also has a limited number of full tuition scholarships available, including an International Student Scholarship awarded to a non-US or dual citizen. For a full list of Hopkins-Nanjing Center scholarships, click here. All students who attend the Hopkins-Nanjing Center will need to apply for a Long-Term Student (X1) Visa. Students will receive supplemental visa docs from the Hopkins-Nanjing Center in early-mid July which will be required for the student visa application. Students should apply for their visa at least one month, but no more than 90 days before the date of departure from their home country. Please make sure that your passport is valid for the entirety of your program of study in Nanjing and your passport has at least four empty visa pages. If you do not have four empty visa pages, it is recommended you apply for a new passport as soon as possible. The Hopkins-Nanjing Center is a supportive community with a student body of about 170 Chinese and international students, resident international faculty and staff and their families, and more than 80 Chinese faculty and staff members. Extra-curricular and co-curricular activities involving all members of the community enhance students’ learning experience. Students organize and participate in a variety of activities outside the classroom ranging from public speaking to volunteer service. The bicultural and bilingual learning community extends to all areas of the Hopkins-Nanjing Center—including the student dormitory. Certificate students are required to live in the dorms with a roommate, and although it can't be guaranteed, we do our best to pair international and Chinese students together. MAIS students may choose to live with roommates or in a single room. Johns Hopkins SAIS welcomes veterans of the US Military and active duty service members as valued members of its student body. The school has a long history of working with current and former members of the Armed Services and the institution remains committed to helping them achieve their educational and professional goals. The school participates in a wide variety of programs that offer substantial financial assistance to active-duty service members, as well as to veterans and their families. Student support services are available to help veterans transition back to school or to help current members of the Armed Forces manage the workload of being a full-time student and a member of the US Armed Forces. The Army’s Advanced Civil Schooling (ACS) program provides opportunities for officers to pursue advanced degrees at civilian universities on a fully-funded basis. ACS awards low, medium and high cost quotas. If admitted, Johns Hopkins SAIS will work with candidates on tuition and funding obligations. Note that the two-year Master of Arts cannot be fast-tracked and completed in 18 months but the one-year Master of International Public Policy (MIPP) can be completed in one year. ACS-related inquiries are managed by the Admissions Office in Washington, DC, at sais.dc.admissions@jhu.edu. Army FAOs at Johns Hopkins SAIS typically pursue the one-year, Master of International Public Policy (MIPP) degree program for experienced professionals. Students may choose to start in the fall or spring semester. 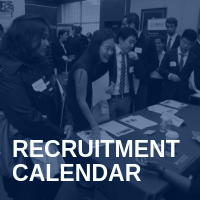 For guidelines on meeting the ACS application timeline, tuition agreements, completion of the DA Form 2125, and other topics pertinent to FAOs, please contact Martina Leinz, Director of Executive Education Recruitment and Outreach at mleinz@jhu.edu. Regardless of deadlines and decision release dates posted on our website, we will expedite applications of ACS candidates to meet the stated deadline for submission of packets to ACS. GRADSO allows commissioned officers to attend graduate school while serving in the Army. GRADSO fully funds your attendance at the school of your choice, regardless of cost. Participants essentially take a two-year academic sabbatical while remaining on active duty and retaining all associated pay and benefits. GRADSO-related inquiries are managed by the Admissions Office in Washington, DC, at sais.dc.admissions@jhu.edu. The Tuition Assistance (TA) program provides financial assistance for voluntary off-duty education programs in support of a Soldier's professional and personal self-development goals. TA is available for courses that are offered in the classroom or by distance learning and is part of an approved academic degree or certificate program. The courses must be offered by schools that are registered in GoArmyEd, are accredited by accrediting agencies that are recognized by the US Department of Education and are signatories to the current Department of Defense Memorandum of Understanding (DOD MOU). TAPS-related inquiries are managed by the Student Accounts Office in Washington, DC, at saisbilling@jhu.edu. The program is open to basic branch officers in Operations, Operations Support and Force Sustainment career fields, and the tuition cap is $43,000 per academic year. PB-GSIP-related inquiries are managed by the Admissions Office in Washington, DC, at sais.dc.admissions@jhu.edu. Johns Hopkins SAIS is one of the approved universities for the POL-MIL scholarship program. The PMM program provides Navy officers a graduate education in strategy and politico-military affairs at leading civilian institutions (CIVINS) throughout the United States. Approved officers will be selected for a one-year master's degree program. Recipients of this scholarship typically pursue Johns Hopkins SAIS’s one-year Master of International Public Policy (MIPP) degree for experienced professionals. The two-year PMM and Arthur S. Moreau Program listed in reference (a) are not funded and are unavailable per the annual quota plan. The PMM program is recommended for junior officers (O3-O4) who are completing their division officer or department head tours, but is open to O5 as well. POL-MIL-related inquiries are managed by the Admissions Office in Washington, DC, at sais.dc.admissions@jhu.edu. Beginning April 2019, the school is a participant in the Strategic Thinkers program of the U.S. Office of the Secretary of Defense. The highly competitive one-year program selects military officers with at least 10 years of active duty experience and provides them with enrollment in the Master's in International Public Policy degree through the school's Strategic Studies faculty. Strategic Thinkers students immerse themselves in the conceptual dynamics and trends of power, war, and the use of force, and consider their role in the development of effective decision-making and execution of military operations. Once coursework is completed, graduates will leverage their strategic skills in demanding headquarters staff assignments at the Office of the Secretary of Defense, on the Joint Staff, or attached to a combatant commander's staff or other four-star headquarters. These appointments will require graduates to deal with unanticipated security challenges and seek innovative approaches in order to engage our nation's top civilian and military leaders on the development and conduct of military operations in the broader context of national policy objectives. For more information, contact the U.S. Office of the Secretary of Defense. SAIS participates in the Post-9/11 GI Bill ® Yellow Ribbon Program. Click here for more information on using VA Benefits at SAIS, including current benefit rates. Click here for more information on using VA Benefits at Johns Hopkins SAIS. The VA Benefits coordinator is John Bates, Assistant Registrar, jbates@jhu.edu. Legal Disclaimer: GI Bill® is a registered trademark of the U.S. Department of Veterans Affairs (VA). More information about education benefits offered by VA is available at the official U.S. government Web site at www.benefits.va.gov/gibill. Johns Hopkins SAIS understands the importance of family and welcomes student spouses, partners, and children at many activities and events. The school’s Washington, DC campus does not offer on-campus housing; students are responsible for finding their own housing. The Housing Resource Site lists local apartments and allows students to post/search for roommates. Most enrolled students are assigned a primary faculty advisor. Additional advising services are available through Academic Affairs. Academic Affairs advisors support students in a more general way, but they are also familiar with each program’s requirements in addition to the general education components of your curriculum. For information on student activities, the student government association, wellbeing and support, living in Washington DC, and student publications, please click here. For spouses/partners seeking employment at Johns Hopkins, please visit http://jobs.jhu.edu. Johns Hopkins SAIS is a member of Student Veterans of America (SVA), a national coalition of over 1,500 student veteran organizations in all 50 states. To see the benefits of having an SVA Chapter on campus, as well as some of the ways SVA serves student veterans across the country, please click here. MakeTheConnection.net is an online resource designed to connect Veterans, their family members and friends, and other supporters with information, resources, and solutions to issues affecting their lives. Watch and listen as other Veterans discuss the challenges they’ve faced, resources they’ve found, and actions they’ve taken to help navigate through life after the military. Coaching into Care is a free and confidential coaching service for families and friends of veterans. It is available to help callers discover new ways to talk with a Veteran in their life about their concerns and about treatment options. The Johns Hopkins student health insurance plan can also cover spouses and children. 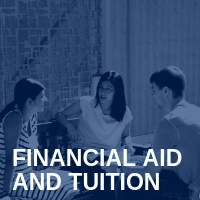 For more information on enrollment policies, benefits, and coverage, please visit https://studentinsurance.com/Schools/?Id=858. For a comprehensive ranked list of school districts in the Washington, DC metropolitan area and detailed information and statistics about each ranked district, click here. Students and alumni know what it takes to be successful at Johns Hopkins SAIS. Share your recommendation for an exceptional candiate with the admissions team.